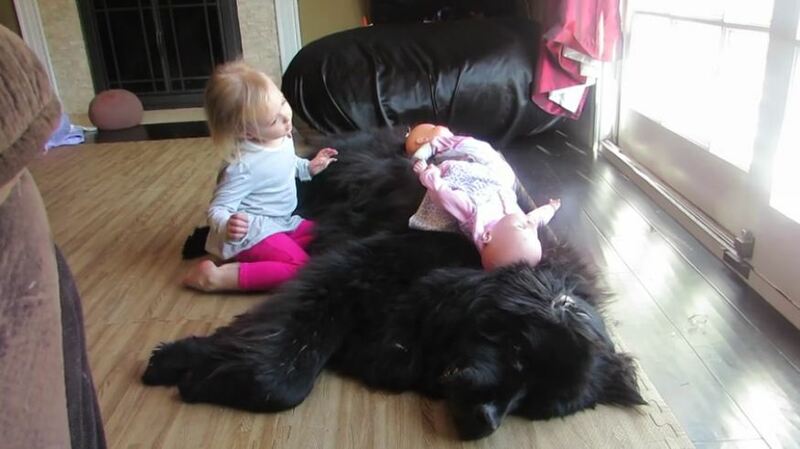 We all can learn a thing or two from the patience level this giant Newfoundland dog displays. Now that’s an adorable moment happily captured on camera. Credit to ‘brenmichelle’.